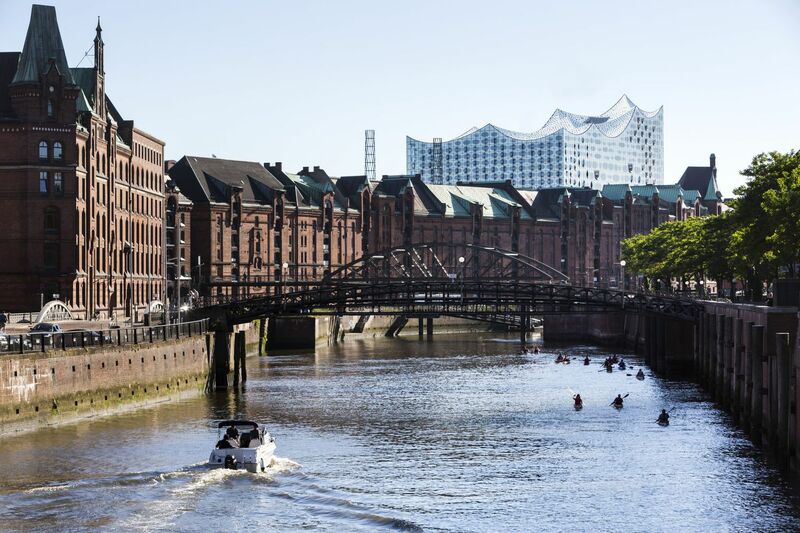 Herzog & de Meuron's Elbphilharmonie Finally Gets Opening Date Archi-new - Free Dwg file Blocks Cad autocad architecture. Archi-new 3D Dwg - Free Dwg file Blocks Cad autocad architecture. 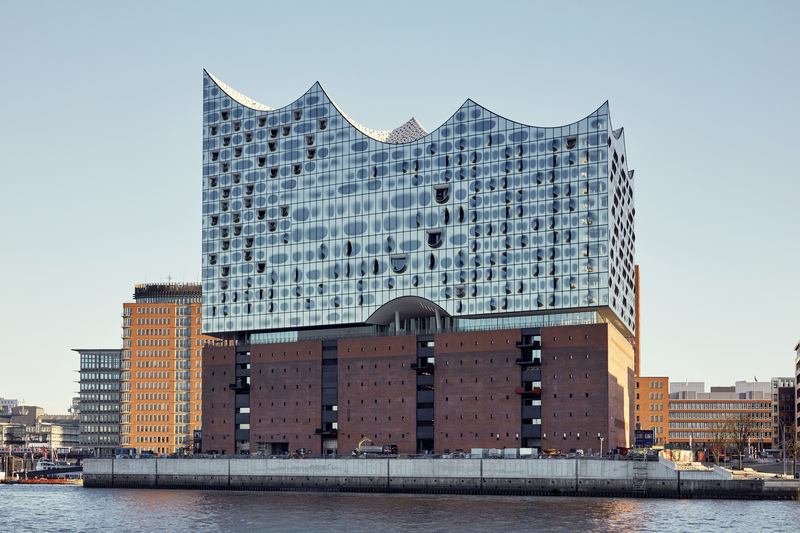 After years of waiting, Herzog & de Meuron’s Elbphilharmonie concert hall in Hamburg, Germany, finally has been given an opening date. 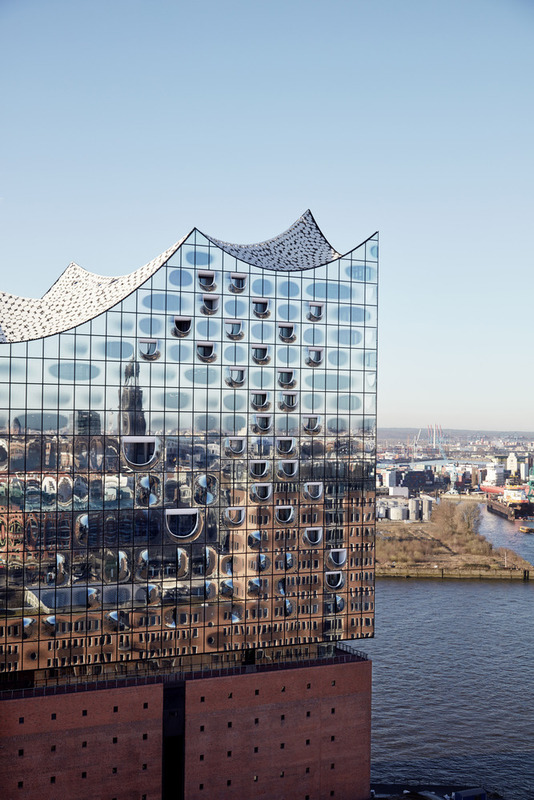 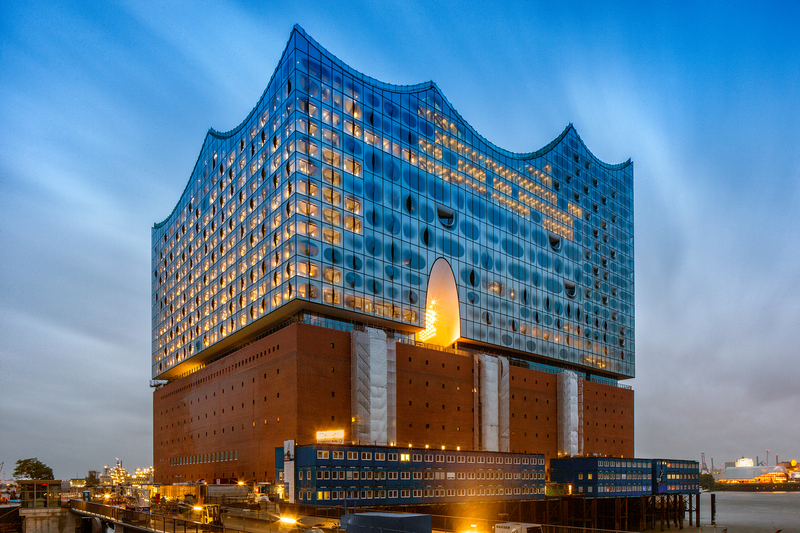 The building will open its doors to the public with grand opening concerts by NDR Elbphilharmonie Orchestra on January 11 and 12, 2017, followed by a three-week festival featuring the Chicago Symphony Orchestra, the Vienna Philharmonic Orchestra and the Berlin-based band Einstürzende Neubauten. The soaring glass structure, constructed on top of a historic warehouse along the River Elbe, was first envisioned in 2003, but rising costs and legal issues with the contractor led the project to be put on hold. In 2012, the philharmonie was the subject of an installation at the Venice Biennale, where the building model was surrounded by uncensored press reports demonstrating the massive amounts of public debate that had already plagued the project for years. Now nearly ready for public occupation, the building will house three concert halls, a large music education area, a panoramic viewing platform with views of the city, and a hotel. 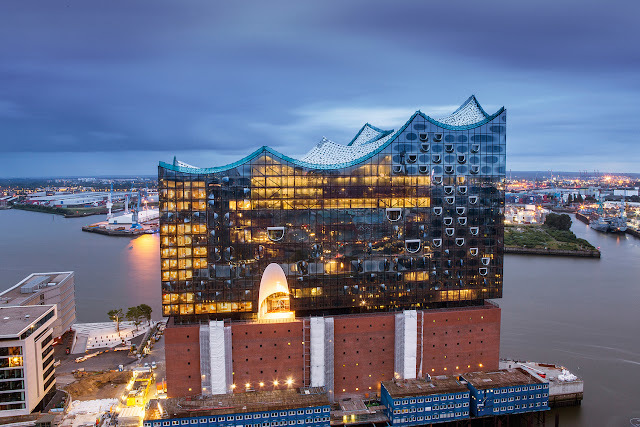 The Grand Hall, the largest of the three concert halls, will seat 2,100 and features an acoustic environment designed by internationally acclaimed acoustician Yasuhisa Toyota. 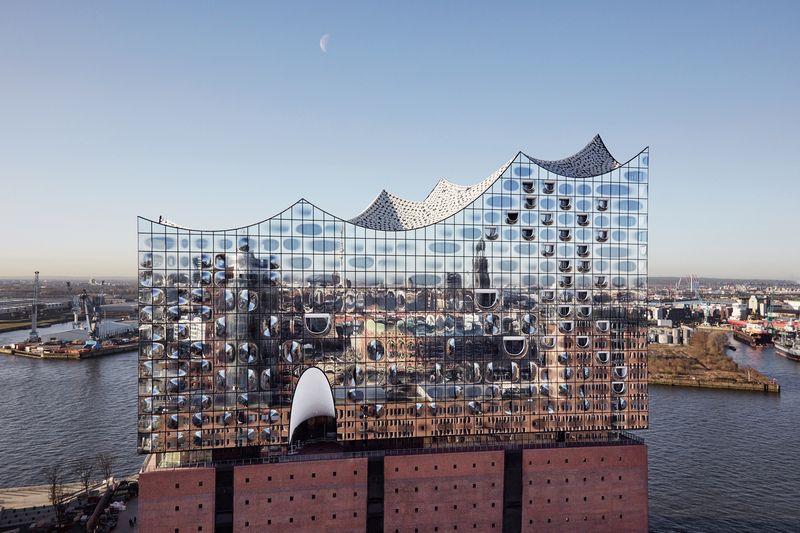 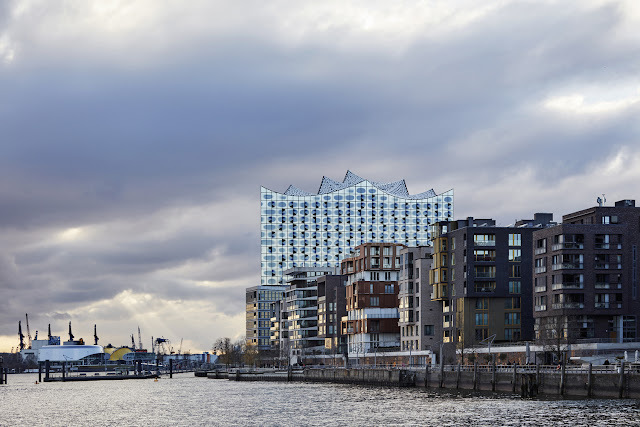 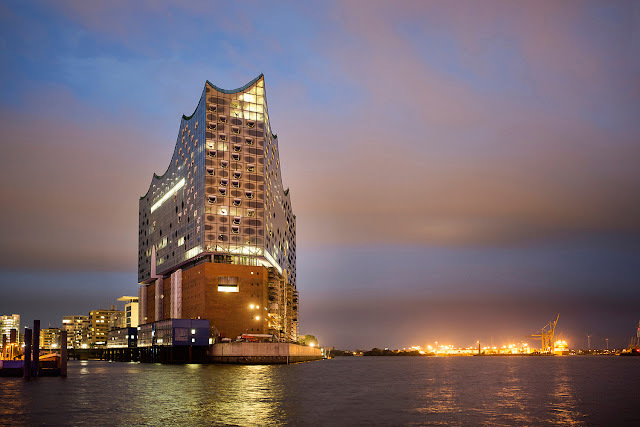 Herzog & de Meuron's exhibition at the Biennale is focused on the architecture of a symbolic project, with a complex history: The Elbphilharmonie, a concert hall on top of a former industry in Hamburg, which also includes a 250 room five-star hotel, and 47 apartments.